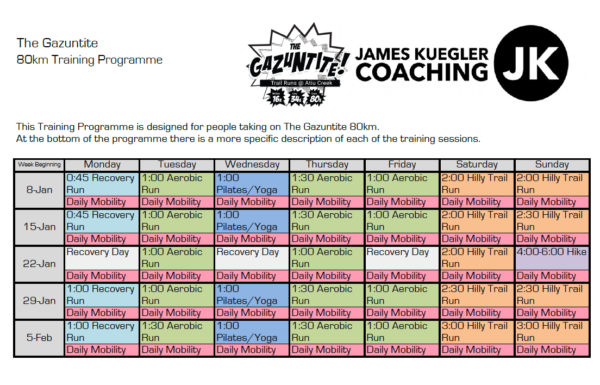 The Gazuntite is proud to be supported by James Kuegler Coaching who will be providing training programs and advice in the build up to the event. James Kuegler truly lives and breathes fitness. Every day, whether it be for his own personal running, multisport or endurance efforts or training someone else, it’s all about movement, usually fairly rapid movement at that. This personal obsession makes him a pretty good running coach, but what makes him exceptional is the fact that he’s also a Doctor of Chiropractic. It’s a combination of skills which gives his clients some very powerful and unique strategies for improving their form and speed. 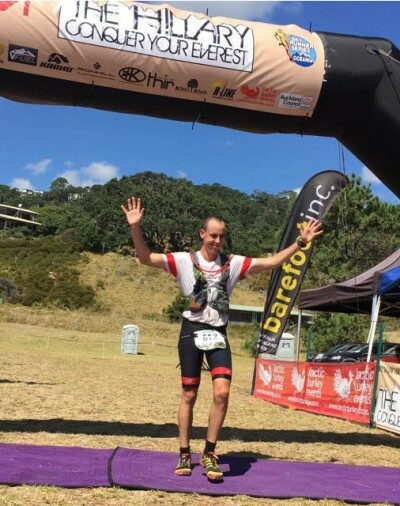 James has also raced the 34km Hillary and came 2nd in 2015 in 3 hours 12. Below are the training programme by James for each distance. We’ll also have a webinar led by James Kuegler Coaching covering all topics related to an event like this in early February.